NEW team United VC has tapped former college rivals Michele Gumabao and Denden Lazaro to lead its rookie squad in the Philippine Super Liga All Filipino Conference starting in July. Gumabao, the former La Salle Lady Spikers captain, and former Ateneo star libero Denden Lazaro, will be joined by former University of Santo Tomas star Angge Tabaquero, La Salle’s Wensh Tiu and ex-Adamson standout Erika Alkuino. “We called this team ‘United’ because we wanted to show that we can be together in one team despite playing in rival teams in the past,” said team manager Joshua Ylaya during PSL’s second team owners’ meeting on Tuesday at Bonifacio Global City. “At the end of the day naman, it’s just one sport we all love and we can play competitively together,” added the former La Salle stalwart. Ylaya refused to divulge the full lineup but Amy Ahomiro and Mae Tajima could be part of the squad, based on social media posts by Lazaro and Gumabao. A source also added that former Ateneo setter Jem Ferrer will also soon join United VC, which is still talking to potential sponsors. 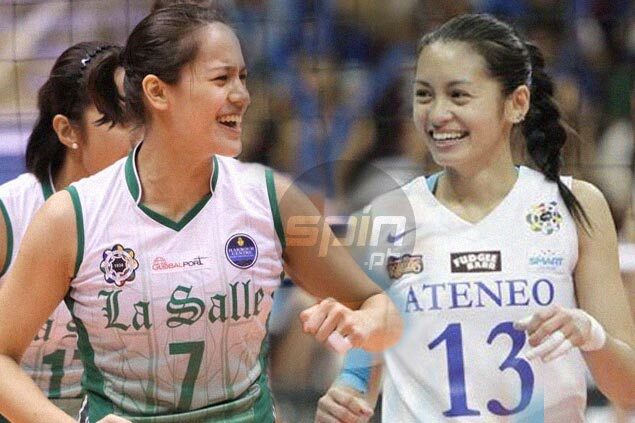 Gumabao and Lazaro played against each other in Ateneo-La Salle finals in 2012 and 2013, but Ylaya said the two are good friends off the court. “They’re friends naman outside the court, syempre on the court it’s all business, but now that they’re in one team it will be a fresh start for everyone,” said Ylaya.